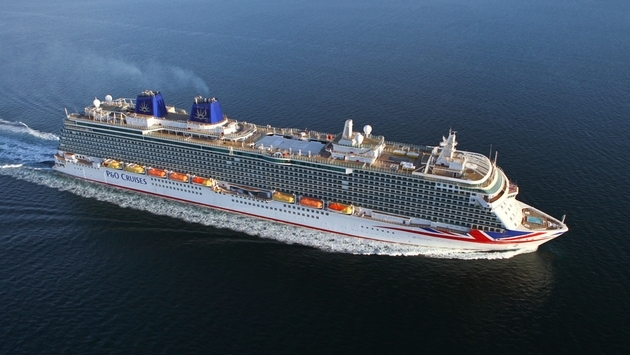 Queen Elizabeth II will christen P&O Cruises’ new flagship Britannia in Southampton, England, on March 10. She will be accompanied by her husband, Prince Philip, the Duke of Edinburgh. P&O Cruises is the British line that is part of Carnival Corp. and plc. The Britannia was built by the Fincantieri shipyard in Italy and delivered earlier this week. 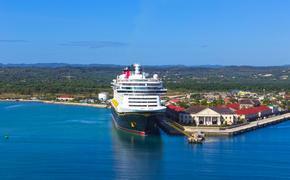 The 144,000-ton ship has 1,837 cabins, of which 75 percent have a balcony, and can accommodate 4,324 passengers, double occupancy. Britannia has a new livery with blue funnels and a stylized Union Jack draped over the bow. Onboard features include The Cookery Club, a 24-person cooking school; a three-tier atrium with a patisserie, a charcuterie and gelateria; and The Limelight Club, a combined entertainment and dining venue in the tradition of the supper club.